OrgDS provides online contact directory management and cheap bulk messaging services in Nigeria with automated birthday and anniversary SMS feature. Our SMS channel delivers to all networks in Nigeria including mobile numbers with DND activation. We provide necessary features and tools to manage, organize and access contact directory, send custom bulk SMS and automated messages for both personal and organizational use. 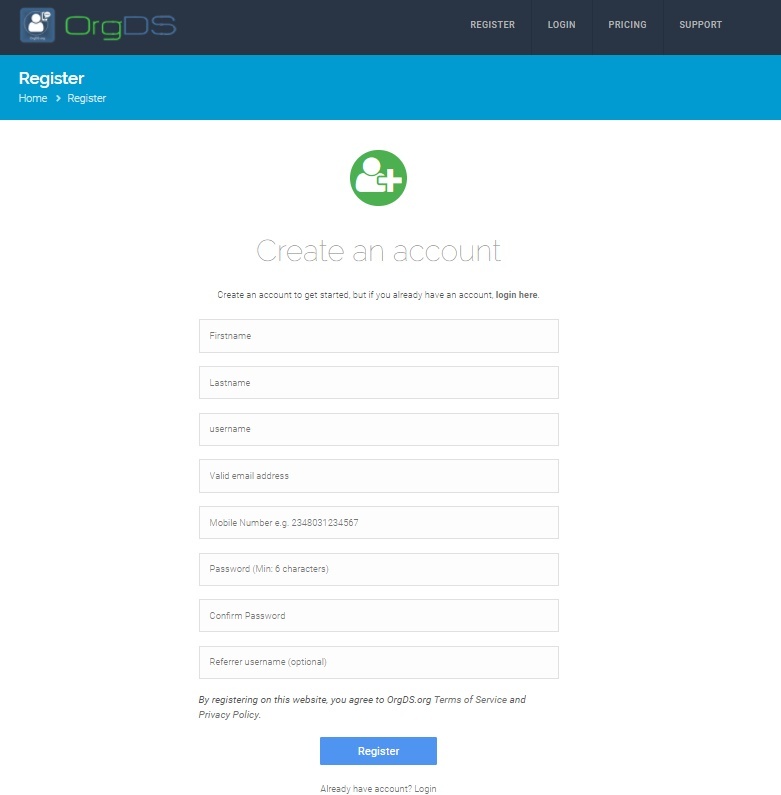 To get started, you need to create an account for free, confirm your email address and login to your account. To register an account, click here. Fill out the fields in the form on the registration page and then hit the Register button. A confirmation email will be sent to your email. Check your email (inbox/updates/spam box) for the mail and then follow the instructions therein. Please note that it may take about 10 minutes to receive the mail but if don’t receive the confirmation link/code in time, you can retry sending an email confirmation code. Once your email is confirmed, you can log in to your account. 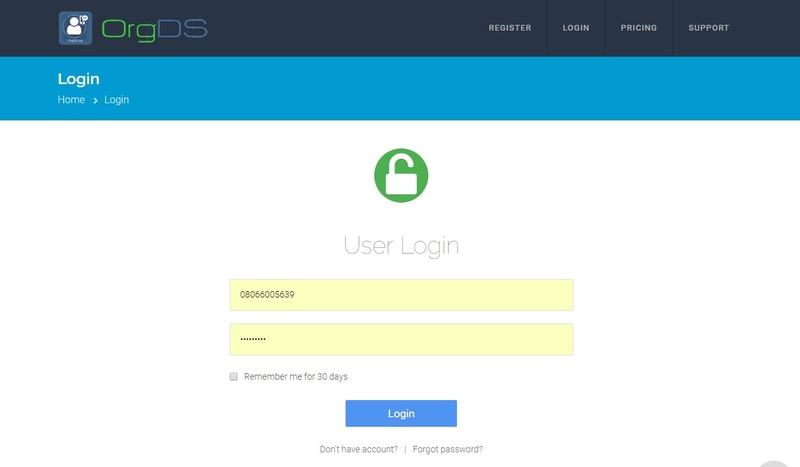 Enter your registered username or email address and your password in the appropriate fields. Hit the Login button. 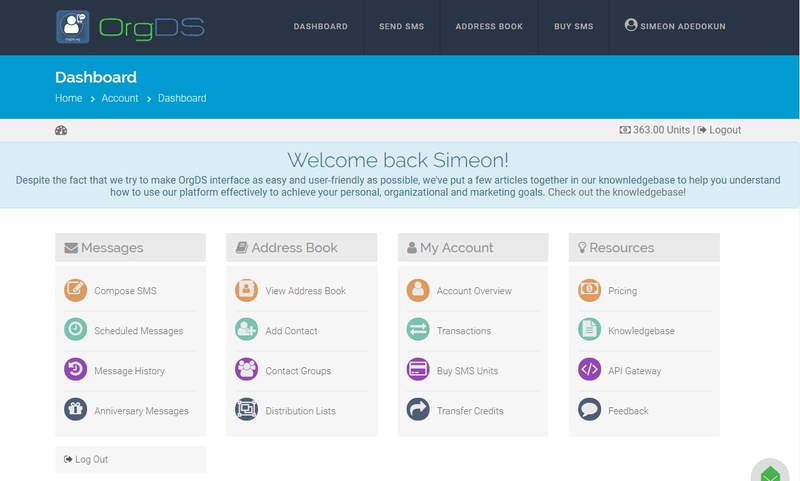 You will be redirected to your account dashboard on a successful login. Now, you can start to manage contact directory and send bulk SMS. Read more ‘how to’ articles.